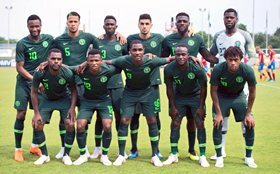 Nigeria manager Gernot Rohr has posited that there are no marquee players in the current Super Eagles squad ahead of the 2019 Africa Cup of Nations, adding that they must play as a unit to be successful at the tournament in Egypt. ''Since the World Cup the team changed, we invited some new young players who did very well, we have players who are playing in Europe, we have players who are playing in big teams,'' Rohr told TV Continental. ''We don't have big stars in our team, you see none of our players was in the African Team of the Year, we don't have these players who Nigeria had in the past.